Black mold poisoning can occur if you are exposed to mold spores, and even a little bit of toxic black mold exposure can trigger symptoms for some people. If you recognize that symptoms are beginning to develop, it is best to get medical treatment right away in order to avoid long-term health problems. There are many symptoms associated with toxic black mold, especially since the poisoning affects people in different ways. Some common symptoms include: headaches, dizziness, swollen lymph nodes, chronic fatigue syndrome, runny nose, chronic sinus infections, nausea, digestive issues, and eye irritation. It is not uncommon for these symptoms to be associated with other health problems, especially because doctors don’t generally think to test for black mold poisoning when someone is sick. In the beginning, the symptoms may seem like a head cold or the flu, but this general diagnosis may be questioned when the symptoms do not go away after a few weeks. These symptoms should be treated with the medical procedures that the doctor suggests, and the toxic black mold should be eradicated as soon as possible. It is important for you to understand that your health will continue to have problems as long as you are exposed to the mold, and getting rid of the mold is the best way to restore your health. Once you have discovered mold exposure in your home, steps should be taken immediately to get rid of the mold problem. You may consider calling a mold specialist to clean up the mess for you; a professional company will have the equipment and training to eliminate the mold problem in your home. An independent mold tester can then verify that the mold has been completely cleaned up after the process is finished. Some people want to save money by proceeding with the cleanup process on their own. If you choose to do it yourself, it is essential that you follow several steps to avoid increased black mold poisoning. The mold spores can cause you to become sicker during the cleanup process, because of the added exposure that occurs when you are scrubbing and disinfecting. Do not let the mold come in contact with your skin, using rubber gloves and other protective clothing can prevent the contact. Also, be sure to immediately wash your clothing after the cleanup is complete. Leaving exposed clothing sitting around the house may result in cross contamination, because the fabric can carry the microscopic mold spores. After you have cleaned up the toxic black mold, several things can be done in order to prevent future black mold poisoning. Remember that mold grows in damp, humid environments, so using a dehumidifier can prevent your home from being too moist. Also, be sure to immediately patch up any leaky pipes or other sources of water. One of the best prevention methods is to be sure that the cleanup process is thorough so that all of the mold spores are gone, and then let the area completely dry before repairing the area affected by the mold. Leaving dampness may lead to additional mold growth in the future. Working with a professional mold removal specialist can be the best way to protect your family’s health, because they have the experience that is needed to completely get rid of the problem. There are many ways that a mold cleanup can cause cross contamination within a home, and a specialist will have the equipment and knowledge needed to contain the problem and get rid of the mold once and for all. An initial consultation is free and you will receive an expert’s assessment of the mold incursion, possible damage and clean up issues. 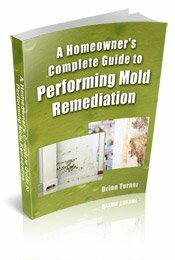 There is possibly unseen/hidden mold and a mold removal specialist knows how to find it. Their expert help and information will allow you to make an informed decision on whether to clean up the mold yourself or leave it to them. 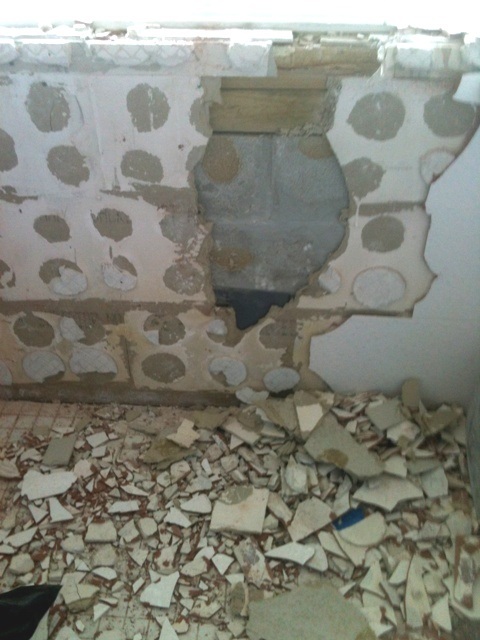 They will put together a cleanup plan that you can use if you decide to take on the cleanup yourself. Follow the link for a list of licensed Mold Removal Specialists in your area. Symptoms of Black Mold Poisoning - Additional information on the symptoms of black mold exposure. How to determine if black mold sickness is affecting you. Black Mold Health - How long-term exposure to black mold can negatively affect your health. Learn how dangerous black mold toxicity really is.